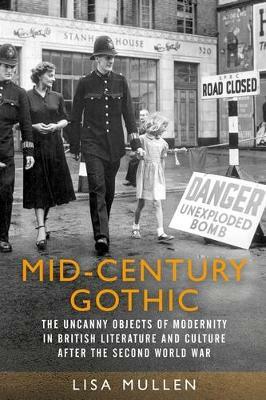 Mid-Century Gothic defines a distinct post-war literary and cultural moment in Britain, lasting ten years from 1945-55. This was a decade haunted by the trauma of fascism and war, but equally uneasy about the new norms of peacetime and the resurgence of commodity culture. As old assumptions about the primacy of the human subject became increasingly uneasy, culture answered with gothic narratives that reflected two troubling qualities of the new objects of modernity: their uncannily autonomous agency, and their disquieting intimacy with the reified human body. The book offers fresh readings of novels, plays, essays and films of the period, unearthing neglected texts as well as reassessing canonical works. By bringing these into dialogue with the mid-century architecture, exhibitions and material culture, it provides a new perspective on a notoriously neglected historical moment and challenges previous accounts of the supposed timidity of post-war culture.